Bisher Samman, 28, fled Syria in 2012 due to the civil war. 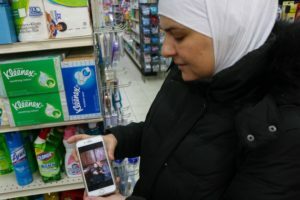 He left abruptly, so he could not complete his three-year business management program; only eleven credits from his entire Syrian education transferred. 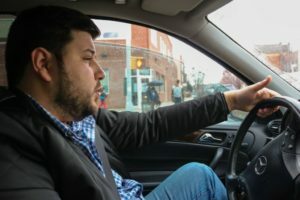 He is now enrolled at Manhattan Community College, and works part-time as a cashier at a local pharmacy. 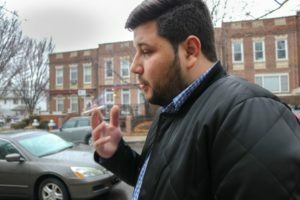 He must redo his coursework while caring for his family in Bay Ridge, Brooklyn. “I have to pick my mom up from the doctor’s office. She’s the boss of the house,” he said. 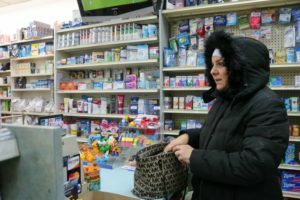 The Nu-Edge Pharmacy located at 707 5th Ave in Bay Ridge, Brooklyn, employs Bisher along with other Middle Eastern immigrants. 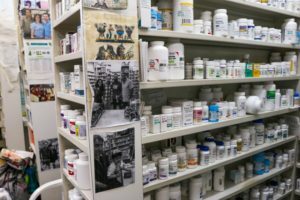 More than a store, the Nu-Edge Pharmacy stands as a pillar in the Bay Ridge Arabian community. Employees gift the pharmacy with novelties from their home countries such as Syria, Egypt and Palestine. They watch soccer during business hours, and speak Arabic to the customers. 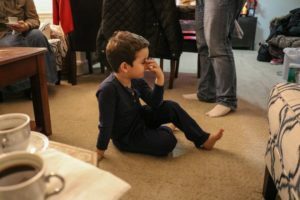 Bisher’s younger brother, Sam, 5, attends an elementary school with other Middle Eastern children in Bay Ridge, Brooklyn. He was born in the United States. On weekends, Sam spends quality time with family and watches his favorite television show, Spongebob Squarepants. “My tooth just broke off,” he said. Sam wears a tarbosh — a Middle Eastern headdress, and presents an adorned tray — a seneya –for serving meals. 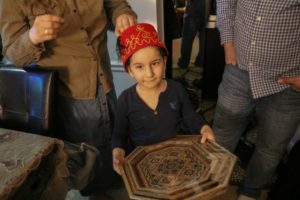 During business trips to Damascus, Bisher’s father, Walah, collects hand-designed Syrian antiques for their home. 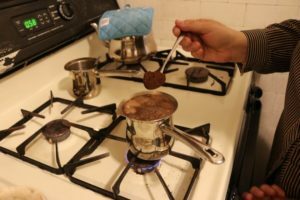 Bisher’s mother prepares afternoon coffee on the stove. Stronger than traditional coffee, the Syrian blend — kahwa — carries a potent, dark taste. “Most people cannot handle the bitterness,” she said. 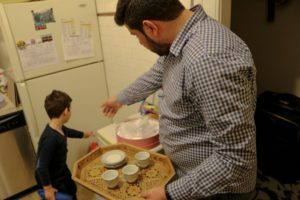 Sam helps his older brother, Bisher, with household chores in the kitchen and prepares the coffee tray.